This probably won’t be too much of a shock. Nearly 9 in 10 letting agents said the main reason landlords end up taking money from the deposit, is because they have received the property in a messy or dirty condition. The majority of the cost goes on getting the property professionally cleaned, so it is in a fit state for the next tenant. As long as you return the property in the same condition of cleanliness that is documented in the inventory, you won’t have a problem. Nearly a half of all deposit claims go towards covering the cost of routine maintenance around the home. Over the course of the tenancy, ensure you are keeping the garden in-check and clear out the guttering on a regular basis. This can range from easy mistakes like hanging pictures on the walls without proper permission, for catastrophic damage you might have caused, such as damage to fittings, structure or furniture. 39% of agents reported that some form of damage to the property was the main reason that tenants lost their deposit. Over 1 in 10 agents reported tenants leaving behind unwanted personal belongings. Depending on the size and amount of belongings that have been left behind, the landlord may have to pay for them to be removed. Sally Lawson, President, ARLA Propertymark comments: “When you’re leaving a property you’ve been renting, the general rule is to leave it as you found it. 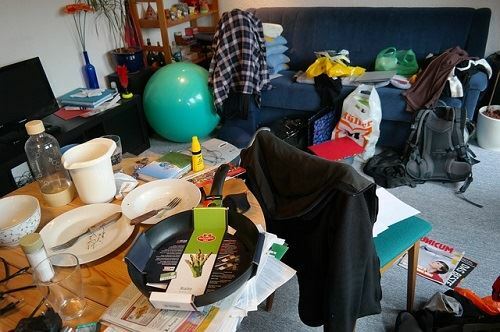 Make sure you haven’t left any personal belongings behind, and that the property is clean and tidy for the next tenants. You should flag any damaged items to your letting agent or landlord during the agreement so that when you leave, it doesn’t come as a shock. This will also help you develop a good relationship with them, which will be useful for any reasonable negotiations about the deposit”.